Methi chaman is a traditional North Indian dish cooked with paneer, Fenugreek leaves and spinach. This recipe used Tofu in place of Panner. Paneer is calorie dense and is loaded with fat especially saturated fat and cholesterol, both of them promote inflammation and heart disease. Tofu is made from soybeans. It is a much healthier alternative to paneer. In a vessel boil 1 liter of water, then add chopped spinach (palak), cashews and 1 teaspoon of sugar (to prevent discoloration of spinach) and let them boil for 3 mins. Strain water and keep the water a side. 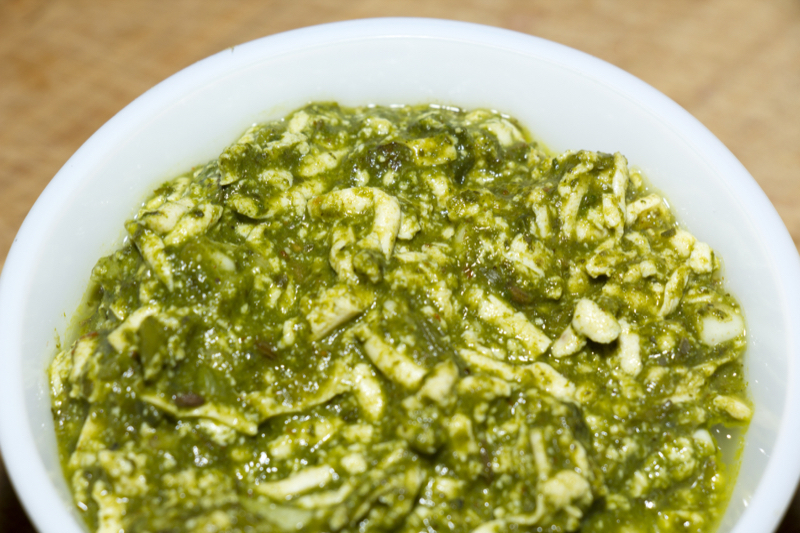 Grind the spinach and cashews with 1/2 cup water (from straining) in a blender to puree consistency for 1 minute. In a separate pan dry roast jeera, garlic and chillies for a minute. 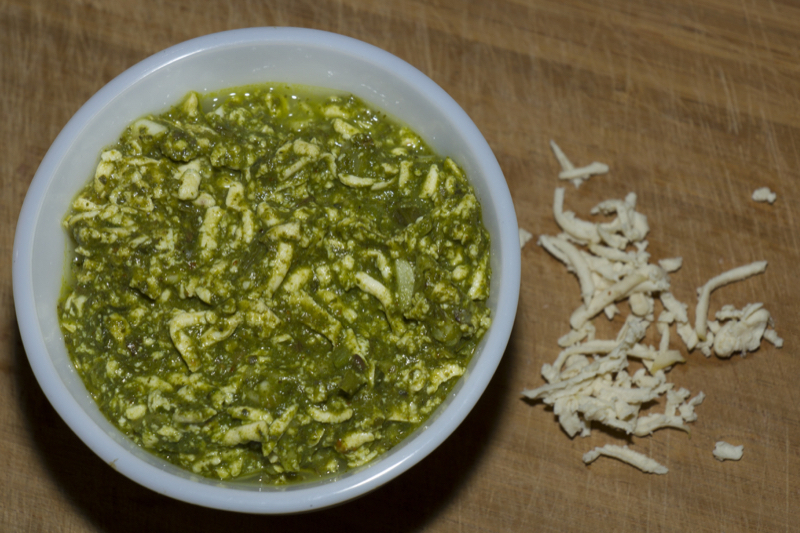 Add palak paste and 1/2 cup water (from straining) – cook for a minute. Add coriander powder, salt, 1/4 teaspoon sugar, garam masala, grated tofu, Kasuri methi, Cardamom powder, Mix well. Let it cook for a 3 minutes and transfer it into a serving bowl.